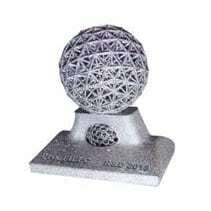 In Collaboration with CSI & ScienTec the LGEP receives award for ResiScopeTM II ! 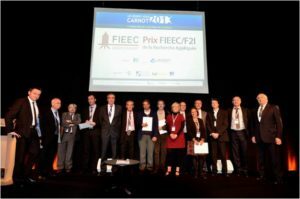 For the third consecutive year, the Applied Research FIEEC Awards were presented at « Rendez-Vous CARNOT », on Thursday, Oct. 10th, 2013. These prizes reward research works which, through a partnership with an SME, which helped to generate growth and employment. – Concept Scientific Instruments(CSI), SME specialized in AFM instrumentation.Based on the thesis of Olivier Schneegans, they have developed jointly the « ResiScopeTM II », an original equipment able to produce mapping local electrical resistance (current and resistance of 10 decades) from an Atomic Force Microscope.